We all know Merriam-Websterrivals Hannah Horvath in being the voice of our generation. The dictionary is also very involved in the Twitterverse, particularly when it comes to politics, subtly throwin’ shade like it ain’t no thang. That’s obviously incredibly literal, but “sheeple” has also been used as a politically-charged word ― apparently since the 1940s. 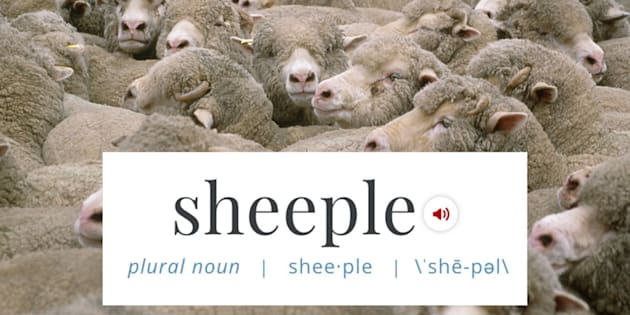 Hmm... By adding “sheeple” to the dictionary now, in 2017, could Merriam-Webster be making another kind of statement?